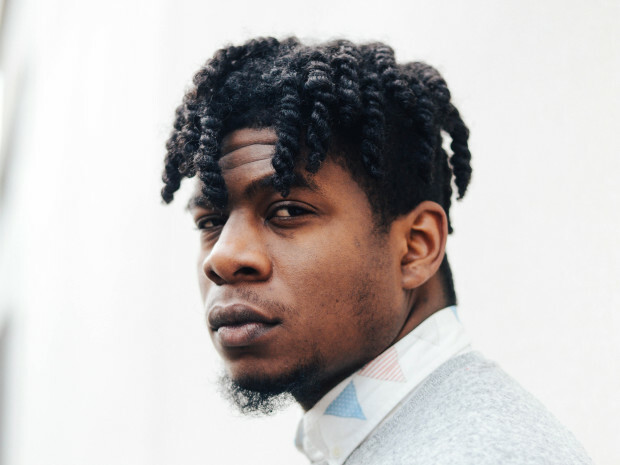 Mick Jenkins is quickly becoming one of Chicago’s most prominent philosophers. Yes, philosopher. Jenkins’ music is more poetry than rap and the message of “Drink more water” is heard throughout his mixtape, The Water[s]. Directly, the album describes the harsh environment he had to face growing up in Chicago. The “waters”, however, represent what today’s society needs. Just like our bodies need water to survive, people need a different kind of water to replenish their souls. The world can’t provide the water that Mick believes the soul needs. The Water[s] is supposed to be there to refresh us. Jenkins’ latest release, P’s & Q’s, is going to be the second track off his album, The Wave[s], arriving later this year. The song begins with “Still drinking water on y’all niggas, man”, alluding to the The Water[s], which dropped about a year ago. Ever since then, Jenkins has been using twitter and facebook to refer back to his motto, “Drink more water”. This song seems to be a reflection of how his career has taken off within the last year and finally answers the question of how he has been responding to his newfound exposure. “I’m pressed and like pests, I’m in every nook and cranny”, Jenkins uses this line to show that he is truly becoming well-known in the rap community. If you follow his name at all, you can find him collabing with Chance the Rapper, Vic Mensa, Joey Purp, and other big Chicago natives. He goes on to emphasize that this is only the beginning of his career. He certainly has something others in the rap game does not. “Quality” and “Wisdom”, along with other traits. He is definitely someone to look out for this year, and as a big fan, I believe this is only the beginning. Purchase Mick Jenkins “The Water[s]” album here. [New Video] Erica Campbell - "I Luh God"